Today we are counted among the major supplier of battery operated sprayer, which are easy to operate and require low maintenance. These sprayers find their application in polishing of plant leaves and spraying of pesticides on crops.used to- spray pesticide on crops. Dry weight 4 to 5 kg. 350 lt. spray can be sprayed per charge. Excellent Agricultural equipment used by farmers across the globe. 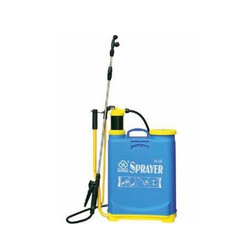 The Portable Power Sprayer features an advanced design that makes accurate spraying possible with minimum hassles. Power sprayer fitted on a trolley with delay. hose pipe and 50lt plastic container.Suitable for farmhouses ,lawns, big gardens and for pest controllers. 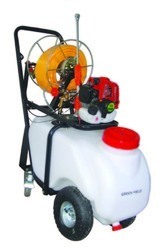 This three piston power sprayer can be tied onto tractor or coupled with engine/electric motor. 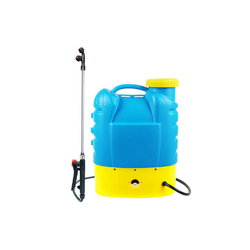 This sprayer is specially designed for spraying on orchards & hilly area. Also suitable for spraying on apple, grape, coffee, rubber tree & Eld crops. 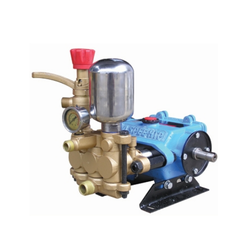 This sprayer is a horizontal triplex pump with crankshaft working in oil bath, the brass portion of pump is an assembly of 3 chambers viz. Suction chamber at the bottom, valve chamber at the center & delivery chamber at the top, the pressure vessel is mounted on the delivery chamber to stabilize the pressure. 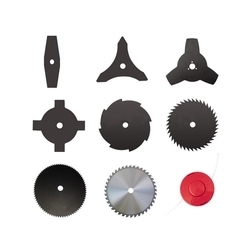 Our brush cutter blades attached on a Garden Trimmer can be used for: hedging, pruning, tree trimming, brush cutting, & bramble clearing.